...used to like to hang out in the bathroom sometimes. In the summer, he'd just lay out on the tile floor, and on the hottest days he would be found wrapped around the back of the toilet - belly against the cold porcelain, back and side against the tile wall and floor. Smart pooch. 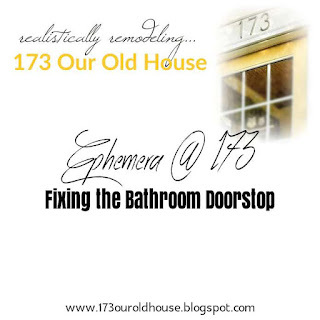 However, sometimes, whether because he bumped the door on the way in or because a breeze wafted through the bathroom, the door would close behind Bruegger and he'd be trapped until someone got home from work. 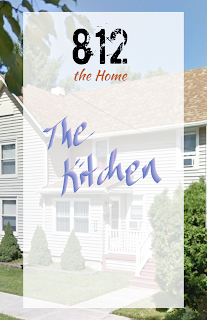 812 - the Home: Kitchen History!